When it comes to adaptations of Shakespeare, of which there have been plenty over the years, there’s both the good and the bad. In some cases, however, as it is with most art, the way in which you judge the production might simply depend on your taste in theatre. Namely, it might depend on how much you love the playwright’s works already, prior to seeing the show. That is arguably the case with the latest indie theatre production of Twelfth Night, now running at Alchemical Studios. Staged in an intimate white box studio, with an ensemble of actors wearing all white and playing multiple roles, the production’s clearly stated intent is to deliver a minimalistic presentation, with an emphasis and focus primarily on the text and performance. When it comes to achieving that goal, the production is largely successful, as it consists of a talented and energetic cast and does an excellent job at drawing the audience in, regardless of how versed they may have previously been in the Bard’s works. Alexandra Bonesho (Maria/Antonio) and Kaileela Hobby (Viola) each stand out, in particular, as being highly engaging. Nonetheless, the problem with reviewing a production such as this is that there’s not much else to enjoy beyond the acting, if you’re someone accustomed to seeing plays such as this over and over. Presumably, regardless of the playwright, the reason his or her works continuously are revived by producers would be to offer a new and creative take on the work, in terms of production aesthetics, yet by opting to go the minimalistic route with revivals – and I’m generally not someone who dislikes minimalistic art, in general – there doesn’t seem to be much new that makes this production more exciting than past productions. At the end of the day, it all depends on two things: First, are you someone who really loves Shakespeare? Second, are you someone who loves seeing theatre primarily for the great acting? Beyond the classic drama itself and its performances, there isn’t much that makes this production too distinct, in terms of production value, which begs the question of what makes Shakespeare’s plays worth staging in a minimalistic format, if not for the above reasons? However, if you answered “yes” to each of those questions and those two reasons are good enough, this very well might be the type of show you’ll enjoy seeing. “Twelfth Night” stars Alexandra Bonesho, Richard Busser, Amy Hayes, Kaileela Hobby, Jim Ireland, Joel Oramas, Seth Rue & Olivia Vessel. “Twelfth Night” is written by William Shakespeare and directed by Amy Hayes, featuring lighting design by Les Dickert, costume design by Ilana Breitman, music by Olivia Vessel, fight design by Andrew Hayes, stage manager TaTyana Smith, and assistant stage manager Dana Winston-Day. 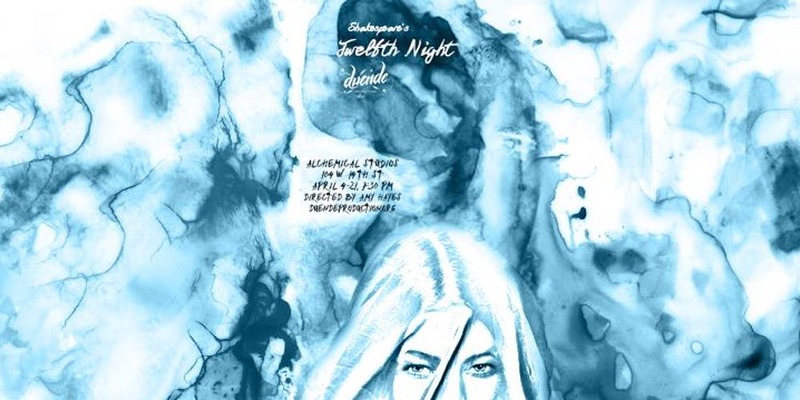 “Twelfth Night” – presented by Duende Productions – runs at Alchemical Studios, located at 104 W 14th Street, New York, NY, from April 4th-21st. For more information, please visit www.duendeproduction.org.